This is a story of my imagination and I'm hoping that it will come true. Chris Colfer and Darren Criss I hope you're reading this. “Come in," I said.“Wonderful place," Catherine said.“Thanks," I said. “What&apos;s this room? "KC asked.“Game room. You can go there if you want. Just lock the door," I replied.“Thanks dude," KC said. Then she entered the room and locked the door. I took Catherine&apos;s hand and went to my room. “What does it feel to have a girlfriend?" I asked. “Good feeling. Why did you ask? "Darren said.“I just need to take advice from someone, an advice that will help me in the time that I&apos;m going to have my relationship," I said.“We can&apos;t escape the time that we will have misunderstandings and break ups,"Darren said. “I think I&apos;m not ready for it," I said.“You can&apos;t stay single forever,"Darren said.“Just not now. Maybe in the end of the year," I said.“Why are we talking about this?" Darren asked.“I just need to prepare. Love can be a mistake. Just don&apos;t let it ruin friendship," I said. “Can we just stop talking about this?" Darren said. I just shut my mouth. He scared me. “I&apos;m sorry. Did I scared you?" 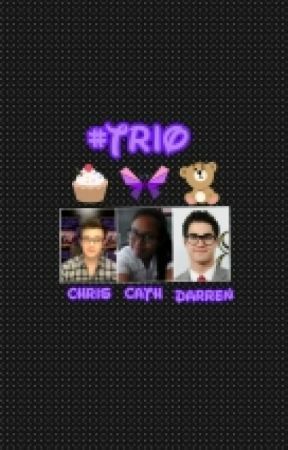 Darren said. I bowed and cry. I didn&apos;t show him that I&apos;m crying but he noticed. “I&apos;m really sorry. I don&apos;t want to talk about it because it will hurt you," Darren said.“I really want to talk about it. I don&apos;t want to get hurt again. I don&apos;t want to repeat the mistake of loving again," I said while I&apos;m wiping my tears. “Don&apos;t give your heart to the wrong person. He will just take chances in ruining your life,"Darren said.“I will," I promised. I decided to change the topic. “I don&apos;t know what to do tomorrow," I said.“Just don&apos;t be obvious because he is so suspicious," Darren said.“It will be awkward," I said.“Be natural. Be who you are. It&apos;s the best feeling ever,"Darren said. “I&apos;ll try," I said.“Don&apos;t worry. I&apos;ll promise you that I will text you when you already feel weird,"Darren said. Then I hugged him so tight. “Thank you for being there for me," I said. Then he hugged me back. “There&apos;s nothing for you to thank about. Now it&apos;s my responsibility to take care of you,"Darren said. “What time is it?" I asked.“4 p.m.,"Darren replied.“Maybe we&apos;ll go home at 7," I said.“Do you still remember what I wanted to do last night? "Darren asked.“You wanted to make a story of us and make a music video about ," I replied. “I knew you would remember. Wanna do it today? "Darren said.“Yeah. What&apos;s the story?" 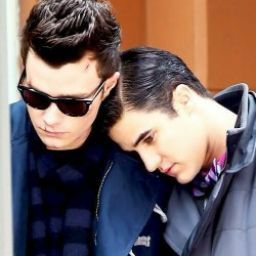 I said.“The story is I am your past boyfriend and Chris is your best friend and soon to be your boyfriend,"Darren said. “I think that&apos;s a bad idea. Me and Chris... not good. Weird," I whispered. “It&apos;s going to be awesome," Darren said.“No," I said.“Because you think it&apos;s awkward and not suitable. Sometimes you need to live in the fantasy world,"Darren said. “I&apos;ll try. I will not let my feelings ruin all of these," I said.“So let&apos;s start the story when I&apos;m still your boyfriend," Darren said.“We&apos;re going to act?" I asked.“Yes. The scene is it&apos;s the first time that you&apos;ve been here. We are just talking about something. Later on, your phone will rang and give us the idea to sing Teenage Dream,"Darren explained. “Okay," I said. Me: Awesome... You have a great place.